An MoU has been signed today with the public authority responsible for the development of the Xicheng Financial District of Beijing. 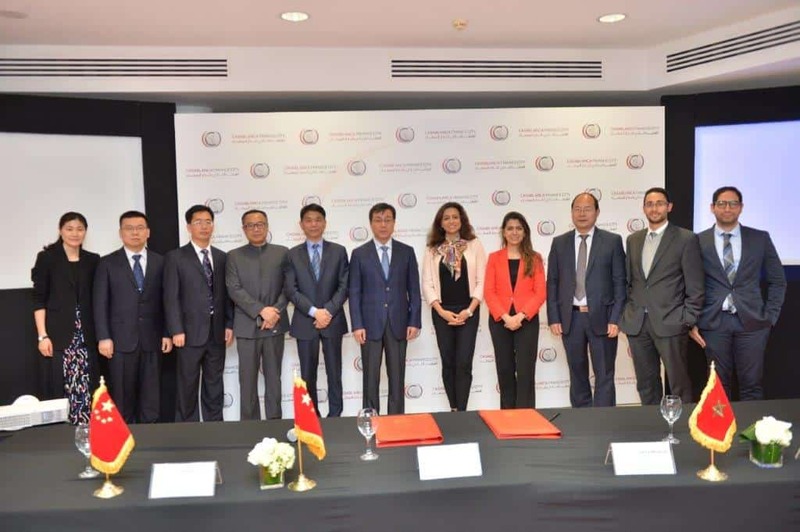 As part of its international partnerships development, Casablanca Finance City (CFC), the leading African financial center, has announced the signature of an agreement with the Xicheng Financial District Development Promotion Center (XDFDPC), the public institution responsible for the development of the Xicheng Financial District. It is the first time that CFC signs a partnership with a Chinese financial center. CFC has already partnered with Singapore, London, Luxembourg, Montreal, Paris, Astana and Busan. This signature extends CFC’s cooperation network with the world’s leading financial centers. This MoU aims to settle the basis for sustainable cooperation between the two sides and ambitions to establish a relationship of mutual understanding between XDFDPC and CFC. It will also encourage future three-party collaboration between the People’s Republic of China, the Kingdom of Morocco and Africa. Moreover, it will encourage the development and the sharing of best practices, expertise and knowledge in the areas of renminbi (Chinese currency) and FinTech. 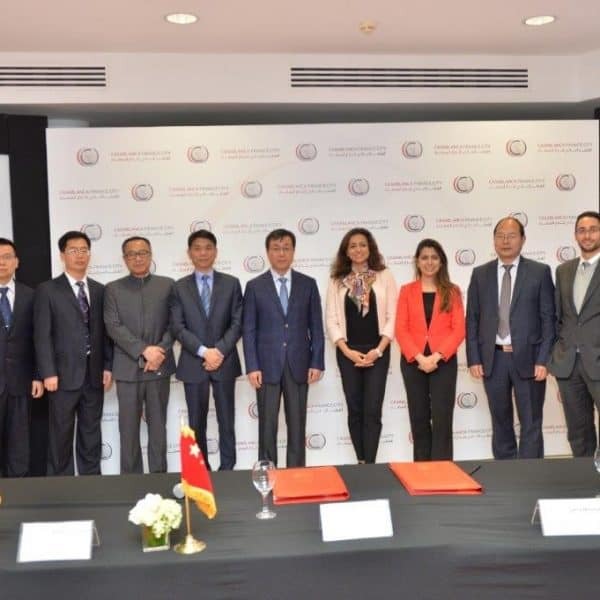 This protocol will also reinforce the efforts from both sides to attract financial institutions, holding companies, multinationals and service providers to Xicheng District and Casablanca Finance City. Finally, the protocol agreement will foster the development of an effective cooperation via joint programs, financial trainings, research activities, workshops, publications and study trips. Mr. Said Ibrahimi, CEO of CFC, declared: “We are pleased to sign today this memorandum of understanding with Xicheng Financial District. This partnership is the first of its kind established by Casablanca Finance City with a Chinese financial center. We have the strong conviction that such fruitful cooperation will play an instrumental role in fostering business ties between China, Morocco and Africa”. XDFDPC is a public institution, established in 2017 by Xicheng District People’s Government of Beijing Municipality, especially for the promotion of the development of Beijing Financial Street and local financial industry, and sited in Beijing Financial Street. The purpose of XDFDPC is to implement the national laws and regulations, and the polices of Beijing municipality of finance; to assist with the development and coordination of the financial industry. Casablanca Finance City (CFC) is an African and business hub located at the crossroad of continents. Recognized as the leading financial center in Africa, and partner of the largest financial centers, CFC has built a strong and thriving community of members across four major categories: financial companies, regional headquarters of multinational companies, service providers and holding companies. CFC offers its members an attractive value proposition and a premium “Doing business” support that fosters the deployment of their activities in Africa.